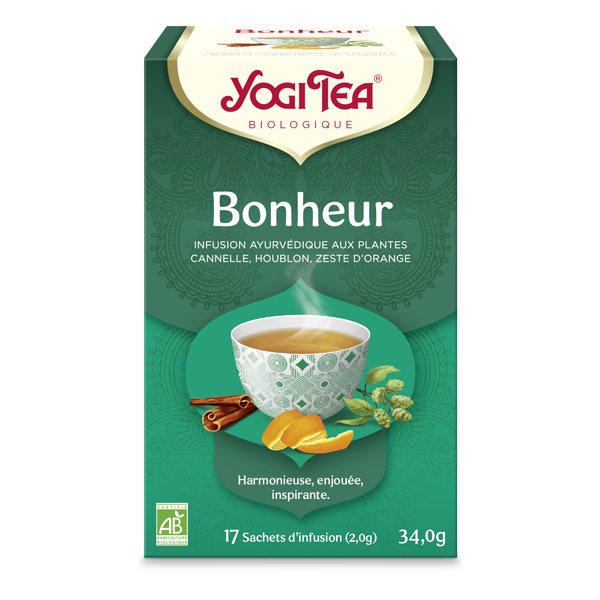 This Bright Mood tea helps balance mood swings and maintain a harmonious daily life. 17 teabag box. Bright Mood by Yogi Tea is a delicious Ayurvedic herb and spice infusion that helps balance the ups and downs of everyday life. Enjoy a cup of this original blend at any time of the day to refresh your spirit! Pour 300ml boiling water over the tea bag and steep 7 minutes or longer for a stronger taste. Add milk and sugar to taste. Yogi Tea’s philosophy is rooted in Indian Ayurveda, which combines sensual pleasure with a balanced approach to overall well-being.